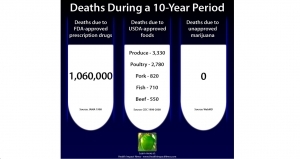 Study: Cannabis Prevents Premature Deaths – Cannabis Prohibition is a Major Cause of Premature Death in the U.S.
Cannabis use prevents thousands of premature deaths each year, and Cannabis prohibition is revealed as a major cause of premature death in the U.S. The results of the current analysis strongly suggest that Cannabis prohibition is a significant failure of public health policy, causing more harm than benefit. In addition to increasing the mortality rate, prohibition contributes to the largest per capita prison population in the world, interferes with pursuit of promising medical research, results in the loss of billions in potential tax revenues, empowers violent drug cartels thus destabilizing governments of neighboring countries, and causes extensive economic and electoral disenfranchisement of the most vulnerable U.S. communities. Of course the professor’s rhetoric is backed by meticulous research and meta-analysis with graphs and numbers and disease names. This paper is what needs to get to Congressional Representatives and Senators, not a letter from an old-fashioned prohibitionist like Attorney General Jeff Sessions. All 53 pages are available here . Will Medical Marijuana Survive the Current Administration’s Attorney General? The Rohrabacher-Farr amendment was easily passed by senators and representatives on both sides of the party aisle in 2014, after a few previously unsuccessful attempts, and placed as a rider in the Justice Department’s appropriations (spending) bill to disallow the DEA’s funds from being used to harass legally instituted state cannabis dispensaries and consumers. It was considered the final barrier to the DEA’s constant harassment of legal cannabis dispensaries and consumers. The only problem is that this amendment is a rider that has to be allowed again each year as new funding bills are approved by both the House and Senate. Another professed concern about continued cannabis proliferation is crime, according to AG Jeff Sessions. In his letter to Congress he cites an incident where a few were nabbed in Colorado by state officials for exporting cannabis goods out of state. But the state officials were performing effectively as directed by the latest Cole Memorandum’s guidelines  of 2013 from Deputy AG James Cole during the Obama administration. The Cole Memorandum was an Obama administration Justice Department memo for states that had approved cannabis for medical purposes. Sessions’ letter also touched briefly on other exaggerated dangers that the National Institute of Drug Abuse (NIDA) had posted on their website regarding potential lung disease from smoking marijuana. It’s proven that legally sold cigarettes, purchased by adults, are much worse. Just after Sessions’ May 1, 2017 letter, NIDA made several changes on its marijuana website page. The NIDA’s website changes also included adding a section on synthetic THC. NIDA, the FDA, and DEA are apparently all part of an effort to acknowledge only synthetic CBD and THC. This functions to support the pharmaceutical industry as a medicinal monopoly with drugs created and patented for maximum exclusive profits. Does the ongoing attempt of the pharmaceutical industry to extract active cannabis compounds to patent synthetic medical drugs go unnoticed by Sessions and the DEA as evidence of cannabis’ medical attributes? If the extracts are beneficial, why wouldn’t the whole plant be? Or are current political efforts to restrict public access to cannabis the result of pharmaceutical lobbying? While appearing to clamp down on marijuana, Sessions waves off the serious opioid pharmaceutical drug epidemic by claiming that “heroin is only slightly worse than marijuana.” Even the NIDA has focused more on opioid addiction and the overdose death epidemic lately. Somehow Sessions equated the Coast Guard seizures of maritime cocaine and heroin offshore smuggling with marijuana running rampant within our borders for the DEA to enforce. Also, he must have missed a September 2017 study that claims relaxed state laws are not the cause of increased marijuana use from 1984 to 2015. Another threat comes from Sessions’ Deputy AG Rod Rosenstein. Unlike his predecessor Deputy AG James Cole, whose memorandum issued states’ rights guidelines, it appears Rosenstein is currently actively looking for ways to get around the Cole Memo and probably eventually wipe it out of the Justice Department archives. The Justice Department enforces the laws, and the DEA is the agency that’s part of the Justice Department. Fortunately, The United States Congress makes the laws. 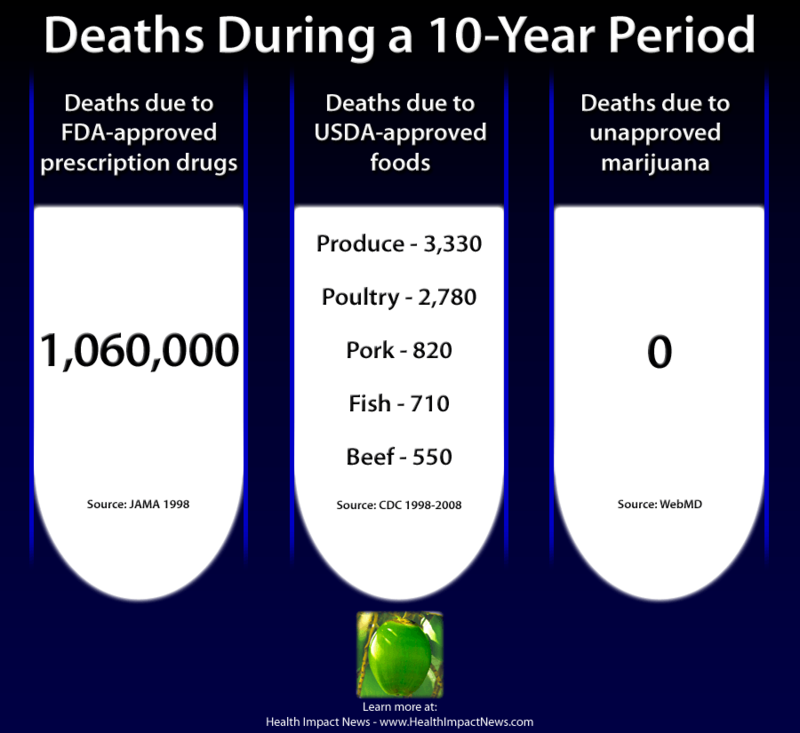 With all the Harmful Illegal and Legal Drugs – Why Pick on Cannabis? Richard Nixon’s right hand man in the White House in 1972, John Erlichman, candidly disclosed in an interview a few years ago that the drug war was instituted in part to associate Nixon’s anti-war hippy-enemies with marijuana and usher in wide scale arrests of pot smokers as acceptable, during a time when Vietnam war protesters were a thorn in the side of the administration’s war efforts in SE Asia. According to the Marijuana Policy Project,  the Rohrabacher-Farr amendment may not even be in the new federal spending bills to be voted on soon. Time to take action ! Very recently (2017) a bill was introduced into the House of Representatives for 2017-2018 that would eliminate enforcement of cannabis prohibition on a federal level. It’s H.R. 1227 , introduced by a Republican representative with 15 co-sponsors at a two to one ratio of Democrats to Republicans. Only intentionally selling cannabis to other states that prohibit its use would be considered illegal and punishable. This could eliminate a lot of nonsense over a beneficial and medicinal plant. The fact that it has so many sponsors is promising for eventually passing, if not now, sooner rather than later. After all, the public overwhelming supports the medical use of marijuana, and our Representatives in Congress who need to be re-voted in every two years are obviously well aware of the sentiment towards medical marijuana among their constituents.